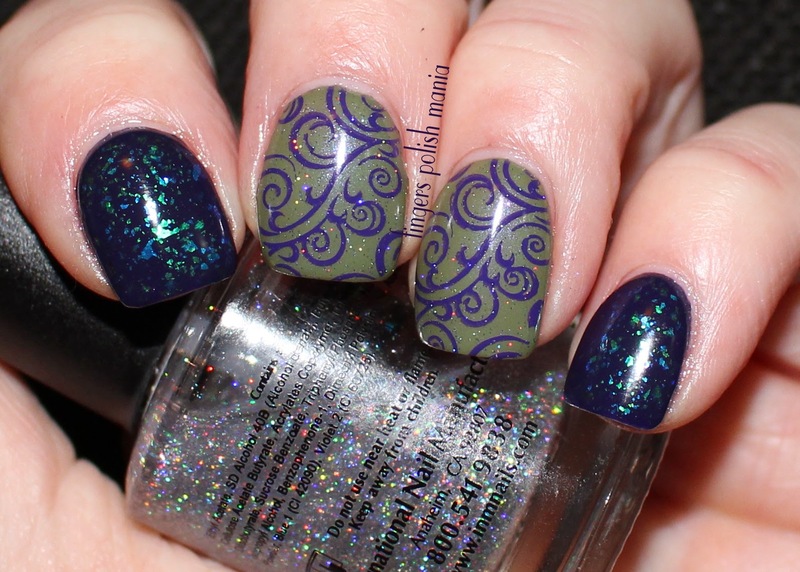 Those that have been here since the beginning will remember that Gemma was the very first polish I posted on this blog. I thought I'd revisit it for old times sake. This is also going to be one of the hardest posts I've yet written here. My gorgeous, awesome dad is dying. We just found out. It is happening way too fast. I just saw him in November and yeah he was sick, but never in my wildest dreams did I think that we would be told he doesn't have much time left to live. I am beyond devastated. He is my daddy. How do I say goodbye? How do I even go on? How is this even real? I will be driving home in a few days to spend some time with him. Am planning on two weeks depending on how things go. I am bringing my cats with me as he loves them and vice versa. My cats are AWFUL in the car just going a few miles to the vet and this is a nine hour drive. Yeah it's gonna be rough on all of us. I need to buy new crates for the car, the vet told me I can use people xanax and dramamine to chill them out for the ride. I sure hope that stuff works as Checkers pukes, pees, poops and foams at the mouth the second the car leaves the driveway. They are both twelve so they aren't young cats anymore. The vet also recommended Feliway a cat pheromone. So later this morning, I'm hitting the PetSmart and the local vet to get crates and this spray. It'll be worth it so my babies can snuggle with my dad and make him happy. I get that this is a fact of life and being a nurse, I'm well aware of these things. But this is my dad. He's not even old yet. He's 70 and this is happening. I cannot stop crying, whaling and thinking of all the things we still had planned to do around my house and furniture he was to build me will never be. I think have I been the best daughter I could be? Does he know I love him? Did I spend enough time with him? All these things are now moot as the time is running out. What I do know, is that I love him and he is a wonderful man and an awesome father and I cannot imagine my life without him in it. What do I do the next time I have an issue that requires my dad's knowledge? What do I do when I just want to talk to him? Oh my God. This is the worst thing ever. I'm so sorry for all this. But I need to get this out. I need to say these things. It won't be the last time. You can just skip to the pictures. I'll never know. 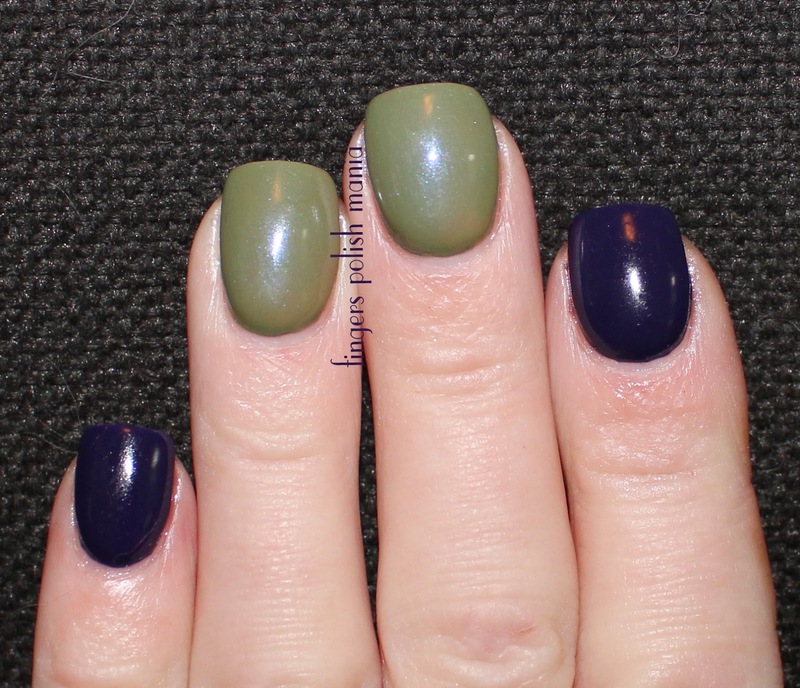 This is Finger Paints flakies called Motley, Zoya Gemma and Pinta. Pinta is purple IRL! I started with the two Zoya. Way better than my very first picture on this blog for sure! Gemma has this gorgeous purple shimmer in it. I still love it. 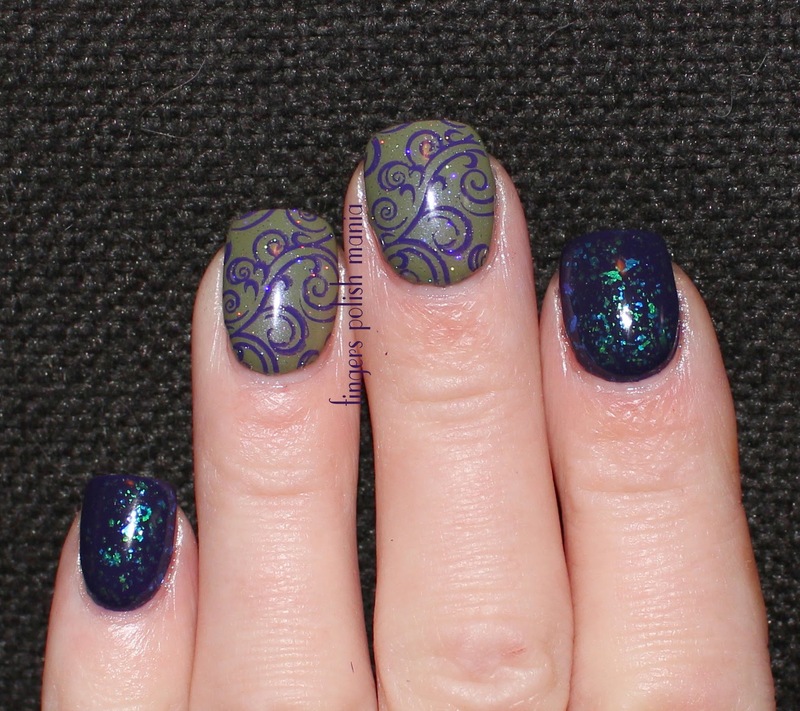 Next I simply added some flakies, stamped with Cici&Sisi plate 10 and Mundo Violet. I then added some INM holo top coat for sparkle. I didn't realize the flakies would change the purple to blue! So now the purple stamping doesn't match! Oh well. It is what it is. As of Thursday 1/15/15, I will be in NY and can't promise any posts or manis will be done. Just wanted to let you all know what's going on.